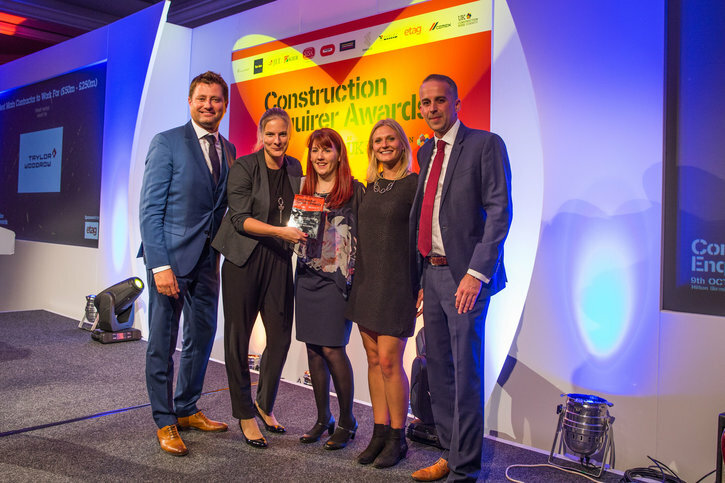 On Wednesday 10th of October, Taylor Woodrow were awarded with the ‘Best Main Contractor to Work For £50m-£250m’ at the Construction Enquirer Awards. What is particularly special about these awards are that they are given based on the votes of our people and supply chain rather than an external judging process like most industry awards. The awards ceremony was attended by a mix of representatives from Taylor Woodrow and VINCI Construction UK. Taylor Woodrow are exceptionally proud to have won this award and extremely grateful to everyone that voted to get us in the top spot for the first time since entering these awards. The 2018 submission was based on our internal process and support mechanisms for our employees in order to create an environment and structure that allows employees to thrive and flourish. This focused on 1:1 processes, engagement, feedback, training, talent, wellbeing, equality and diversity, and leadership.